Karen DeJarnette joined Fast Lane Consulting and Education Services, Inc. in 2016 to manage strategic educational programs. 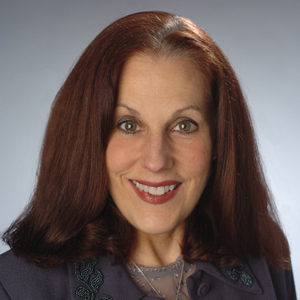 Prior to joining Fast Lane Karen was the Director of the Talent and Education Development Center (TEDCenter) at Syracuse University and the Director of Workforce Development for Empire State Development Corporation (ESD). DeJarnette worked at the Manufacturers Association of Central New York (MACNY) as the Vice President of Training and Corporate Development and at Carrier Corporation in various engineering, marketing, and quality roles. Reinforcing strategic partnerships and creating alliances to help individuals advance their careers and businesses to grow and remain competitive in today’s global marketplace has been DeJarnette’s lifelong goal. Her work experience has provided her with a broad perspective on the diversity of both national and global markets and customers. In 2016, Karen was bestowed the Syracuse Woman of the Year Award and in 2006 the International Citation Award from the International Association of Workforce Professionals due to her roles in philanthropic and regional collaborative initiatives. She continues that collaborative approach on the Partners for Education and Business and Central and Upstate Junior Achievement Advisory Councils. Her outreach continues through her work on the Women’s Fund Leadership Council and UPCEA’s Outreach, Engagement, and Economic Development Network Leadership. Karen has an undergraduate degree in Mechanical Engineering from the University of Illinois at Champaign-Urbana; a Six Sigma Black Belt certificate and master’s degrees in Business Administration and in Information Management from Syracuse University; and a Project Management Professional (PMP) certification from the Project Management Institute.